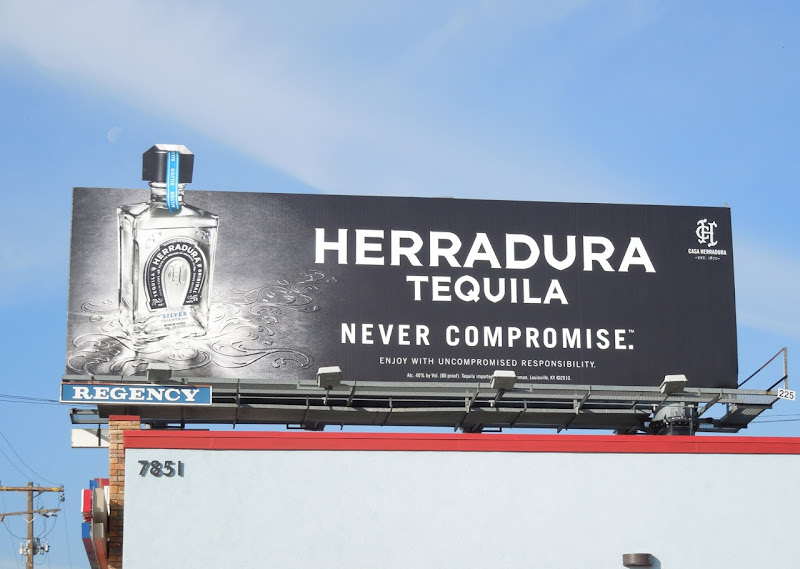 With tequila, more than any other alcohol, the bottle seems to be equally as important as the drink it contains. 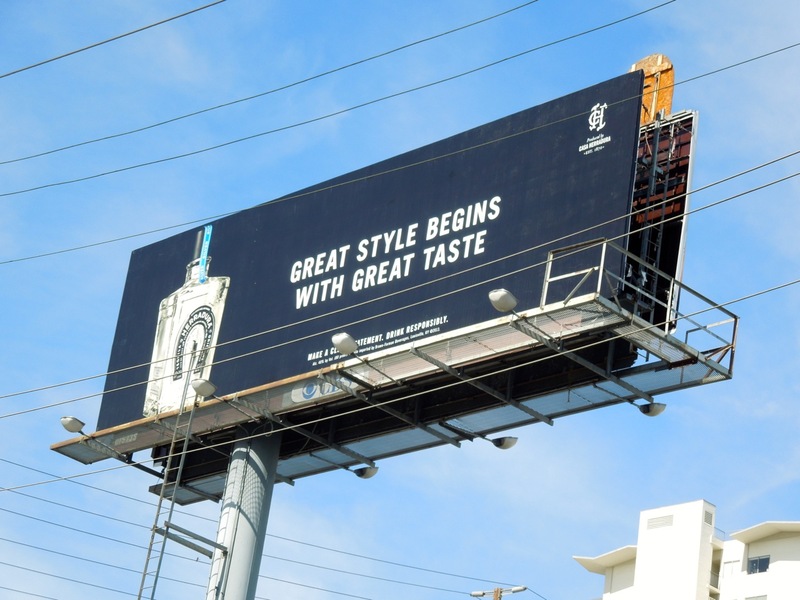 Let's face it, taste is always a major selling point, but for some, image and appearances is far more important. 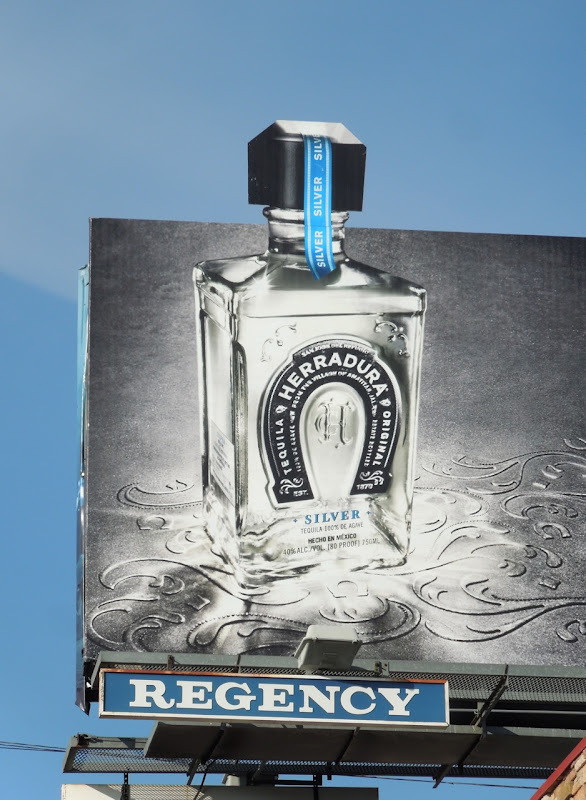 This month Herradura Tequila and Patrón Tequila have both indulged in special extension billboards to grab your attention and showcase their unique bottle designs. 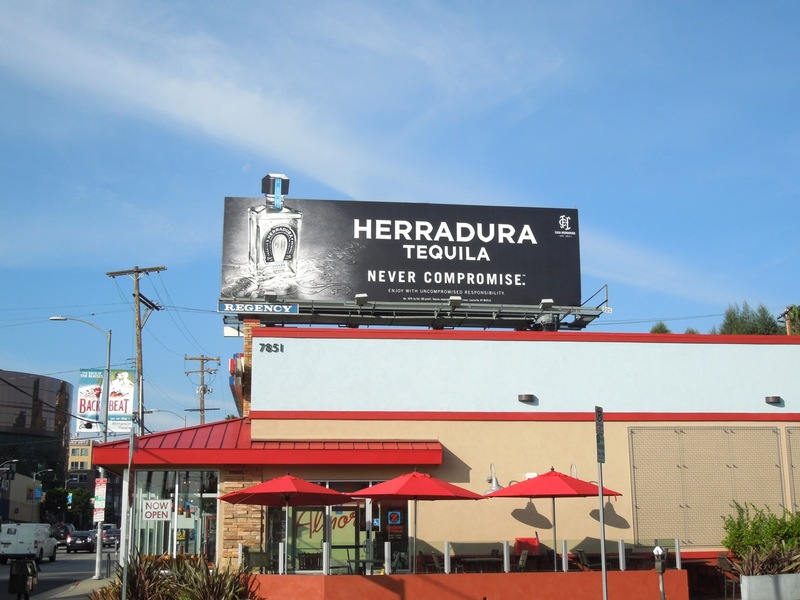 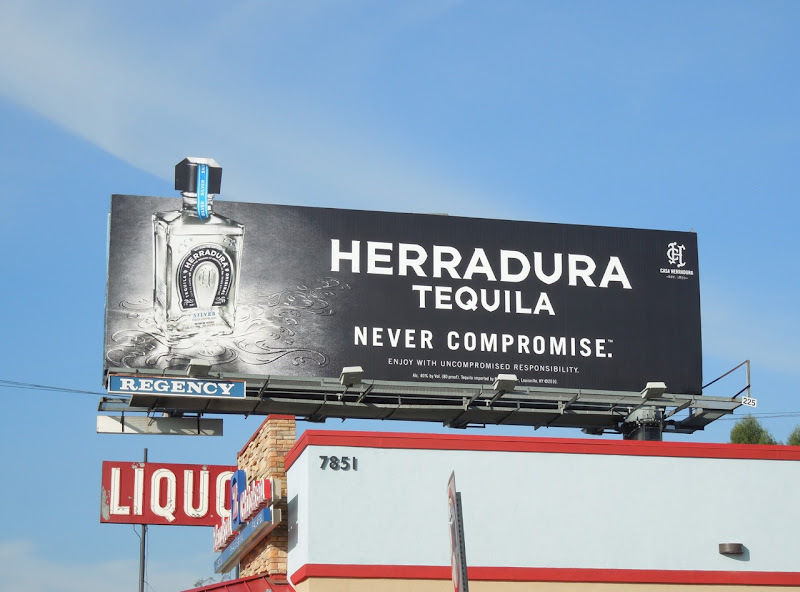 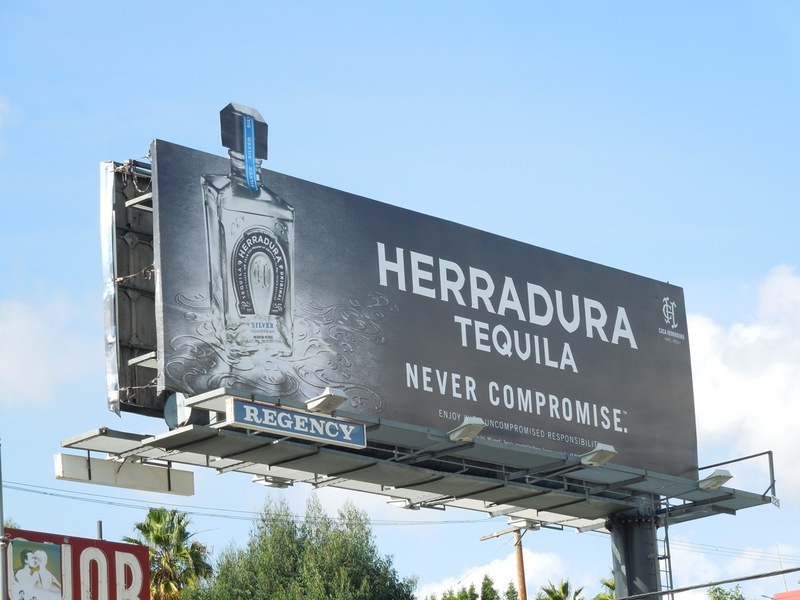 This eye-catching 'Never Compromise' creative for Herradura Tequila was spied along Sunset Boulevard on December 4, 2012. If you're a tequila connoisseur, be sure enjoy all these other cool tequila billboards here at Daily Billboard. 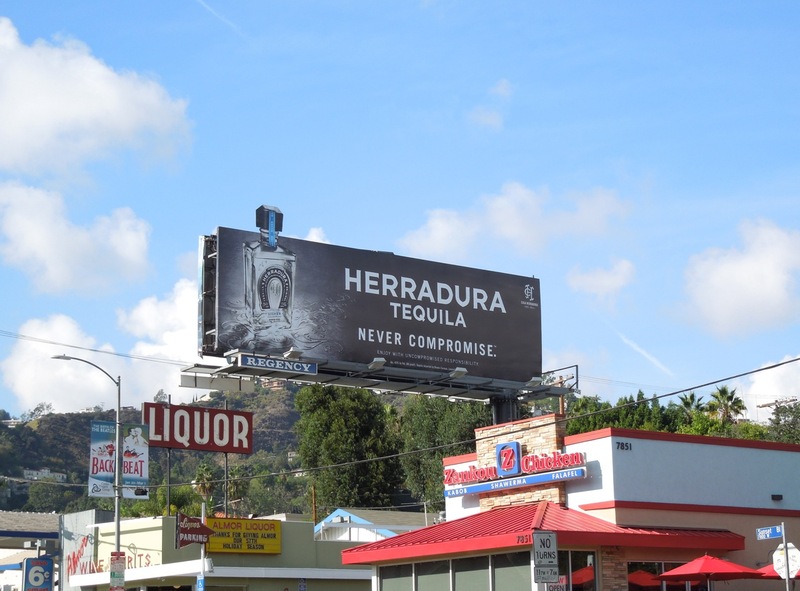 UPDATED: Here's another standard landscape creative for Herradura Tequila with a clever tag line. 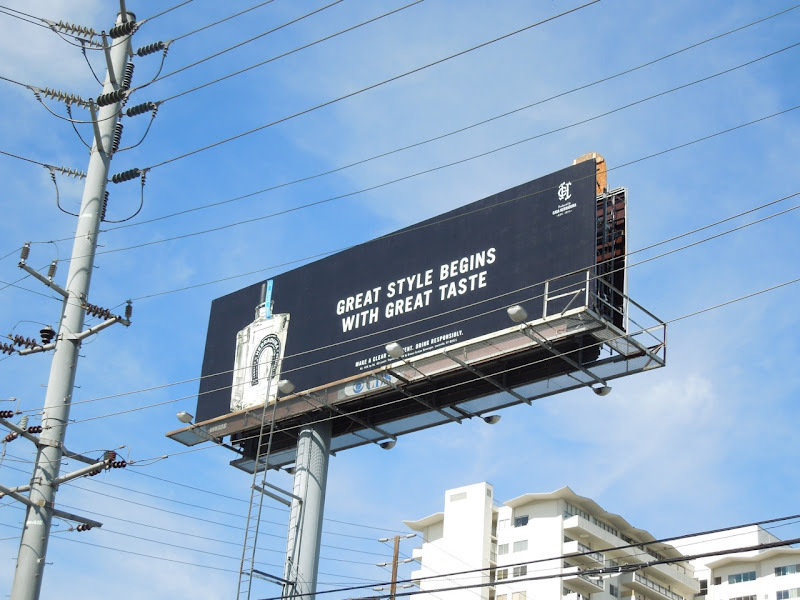 This 'Great style begins with great taste' billboard was high snapped above La Cienega Boulevard and Holloway Drive on March 2, 2013. 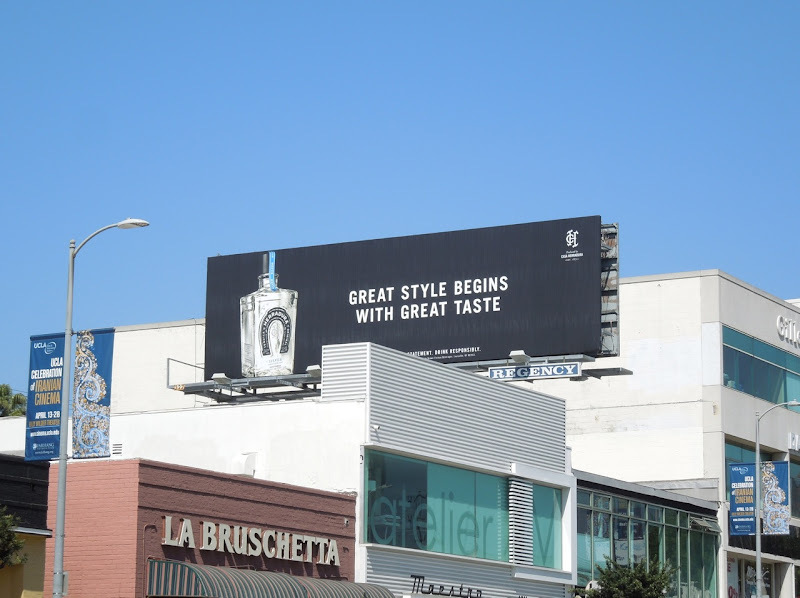 UPDATED: Here's another slightly less obscured version of this creative spotted along Westwood Boulevard on April 21, 2013. 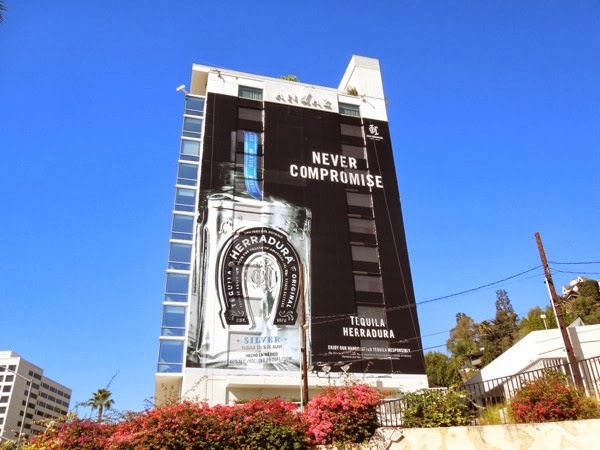 UPDATED: Herradura Tequlia obviously want to make a bigger statement this season as their latest ad is super-sized on the side of the Andaz Hotel in West Hollywood. 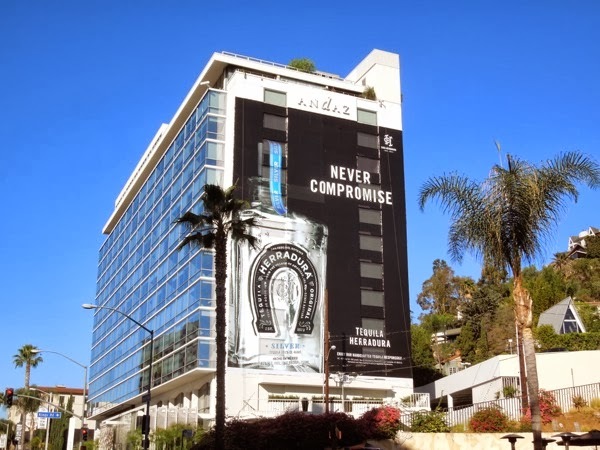 This eye-catching giant wallscape ad along Sunset Boulevard was snapped on October 5, 2013.